Samuel Kalu’s curling effort against Le Havre in Coupe de la Ligue has gone viral on the net with several praises heaped on the attack. 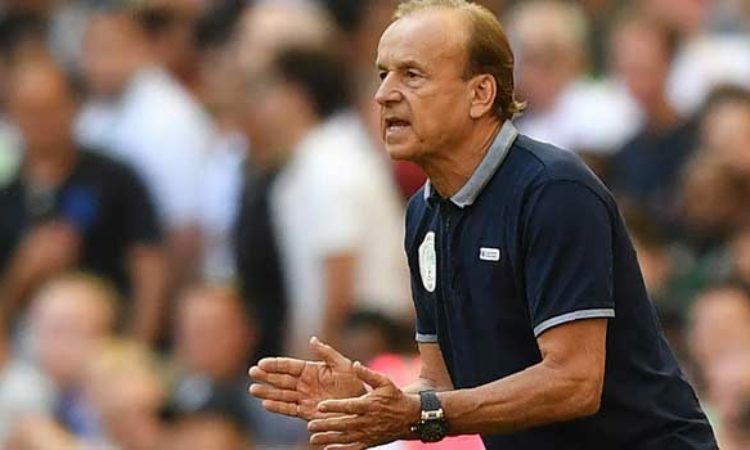 Rohr has not been left out with the German tactician heaping praise on the footballer. Rohr says it is not only goals that made Kalu ‘an amazing player’ but his technical depth and ability to play to instructions. Rohr reviewed Kalu’s few days so far with the Nigerian national team and stressed that the youngster adds so much depth to the Nigerian national squad with his versatility qualities, which include defensive efforts from the front. Kalu’s versatility shone when he was deployed in the wingback position in the crucial game against South Africa in the qualifiers for the 2019 African Cup of Nations. That was his fourth match for the Eagles as Kalu has started all of Nigeria’s competitive games after the 2018 World Cup. He has contributed to goals with a goal and two assists to show for what Rohr calls rare qualities.